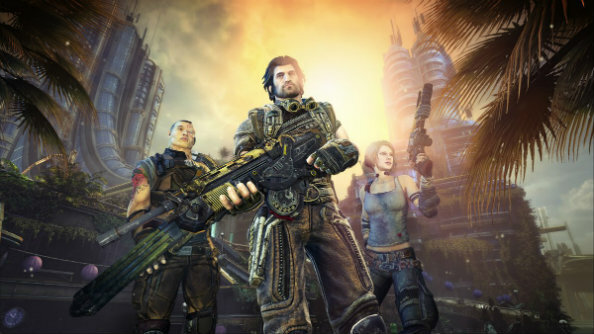 People Can Fly, the developers of Bulletstorm and Gears of War: Judgment, have opened up two additional studios to work on a new triple-A shooter for Square Enix. Check out our list of the best FPSs on PC! The developers revealed the news on their website. The first new studio recently opened in Rzeszów, Poland, and consists of around 30 developers who previously worked at CI Games on Sniper: Ghost Warrior 3. The other studio opened in September 2017 and is based in Newcastle, UK – so is People Can Fly’s first team outside their native Poland. The UK studio consists of veteran developers including former Ubisoft staff, and PCF are looking to grow the Newcastle studio by around 20-30 people over the next 12-18 months. During the development of Gears of War: Judgment, Epic Games took over People Can Fly in 2013 and renamed the studio Epic Games Poland. They worked on the pre-battle royale version of Fortnite until 2015, when they once again split from Epic and regained both their independence and the Bulletstorm IP. As for their new triple-A shooter, it’s possible that it could get revealed at Square Enix’s E3 conference next month, which will be the publishers’ first show at the Expo since 2015.